The apartment is very well located for the railway station, the bus station and the metro being only 10 minutes walk and it is very quiet at night. It has large rooms and it is very clean and the owners are very friendly and it was very nice to find water in the fridge. There is a small amount of private outside space in front of property (behind the exterior staircase to the higher level properties). Brescia is a very interesting place to visit. The architecture in Vittoria square is particularly impressive and the Santa Giulia museum is amazing. Tip - To get from the railway station to the apartment by foot you need to go down the stairs in the railway station and take the exit for platform 6 and go to the end of the platform as this is where the underpass starts that take you under the station and onto the main road that you must cross to reach VIA PRIVATA DE VITALIS. The apartment is actually located at the bottom of VIA Elba. Very neat and tidy place (though not straightforward to find without GPS) and very convenient for the station. Clean, comfortable and Rosy and Marco both very friendly and helpful. We arrived to find our accommodation better than we had anticipated and so convenient for all facilities, the owner is charming, the appartment comfortable and well appointed. Thank you for a wonderful introduction to Brescia, a hidden jem for relaxing with pleanty to do, wonderful and varied eating places. A tast of real Italy. "Rosy and Mark were the kindest of hosts and made us feel so welcome. Their greatest concern was that we have the best possible holiday experience. The cupboards were generously supplied for breakfasts and the refrigerator well stocked. We enjoyed the elegant, roomy apartment and especially the 3 balconies. The location was good and the public transport system reliable. 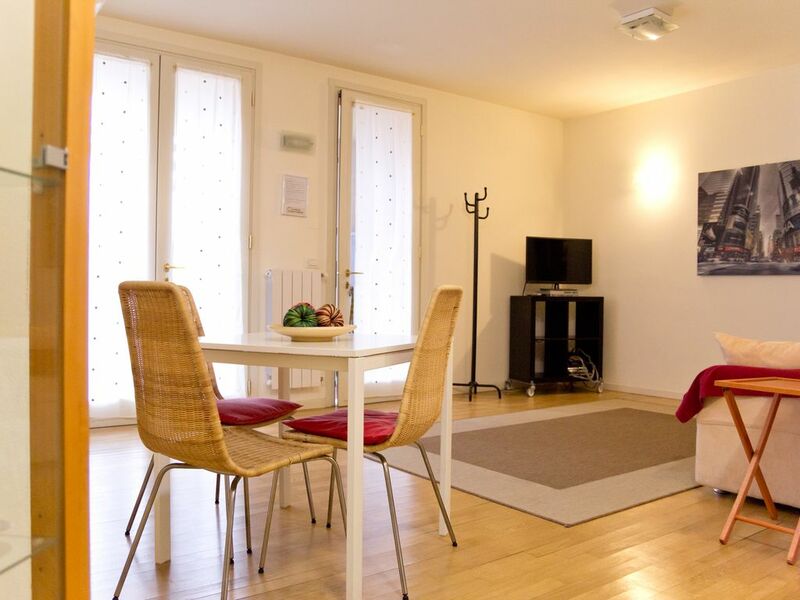 We would highly recommend this comfortable apartment – we did not want to leave!" "Apartment was best we have ever been! It had 3 balconys, and it was modern and clean and big. When doing daytrips to other towns,the location was very good, only 5min walk to train station and bus-station. There was lots of goodies in the fridge,and owners were very friendly, even if we didn´t speak Italian."